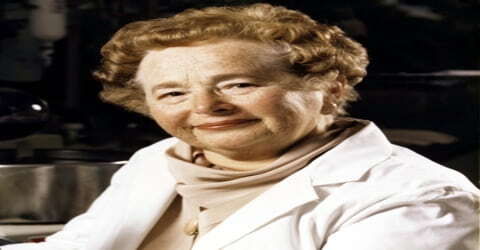 Gertrude B. Elion – American biochemist and pharmacologist. 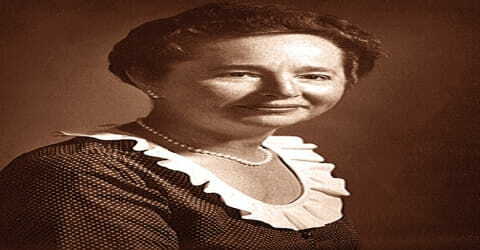 American biochemist and pharmacologist Gertrude B. Elion was born in New York City on January 23, 1918, to parents Robert Elion, a Lithuanian Jewish immigrant and a dentist, and Bertha Cohen, a Polish immigrant. She helped develop drugs to treat leukemia and prevent kidney transplant rejection. She had an impressive career, during which she helped develop drugs to treat many major diseases, including malaria and AIDS. 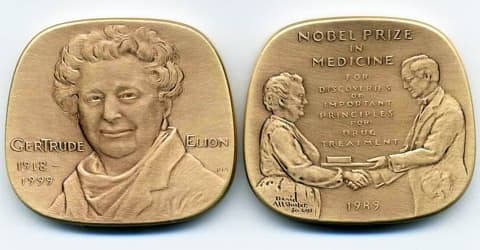 Elion shared the 1988 Nobel Prize in Physiology or Medicine with George H. Hitchings and Sir James Black. Working alone as well as with Hitchings and Black, Elion developed a multitude of new drugs, using innovative research methods that would later lead to the development of the AIDS drug AZT. Born to Lithuanian immigrant parents in New York City, Gertrude B. Elion developed an interest in medical science after witnessing her grandfather struggle with cancer. Following his painful death, the young girl was determined to try to find a cure for the life-threatening disorder. She went to Hunter College and graduated with a degree in chemistry following which she proceeded to the New York University to study for her master’s degree. She was deeply interested in a career in research but being a woman she was not able to obtain the research position she so desperately sought. She worked in a series of other jobs before joining the Burroughs Wellcome Laboratories where she became an assistant to Hitchings, beginning a collaboration that would last four decades. Working together, the duo developed several new drugs to treat life-threatening diseases like leukemia, autoimmune disorders, urinary tract infections, gout, malaria, and viral herpes. She officially retired in 1983 but continued being active in research for long afterward. Elion developed the first immunosuppressive drug, azathioprine, used for organ transplants. She also developed the first successful antiviral drug, acyclovir (ACV), for the treatment of Herpes infection. Her family lost their wealth after the Wall Street Crash of 1929. When she was 15, her grandfather died of cancer, instilling in her a desire to do all she could to try and cure the disease. 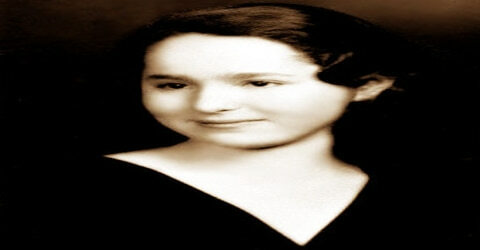 She graduated from Hunter College in 1937 with a degree in chemistry and New York University (M.Sc.) in 1941, while working as a high school teacher of chemistry, physics, and general science during day time. Elion worked as a laboratory assistant for a chemist for some time before entering graduate school at New York University in the fall of 1939. She was the only lady in her class. Her fifteen fellowship applications were turned down due to gender bias at the time, so she enrolled in a secretarial school, which lasted six weeks before she found a job. Unable to devote herself to full-time studies, Elion never received a Ph.D. Unable to obtain a graduate research position, she worked as a food quality supervisor at A&P supermarkets, and for a food lab in New York, testing the acidity of pickles and the color of egg yolk going into mayonnaise. Later, she left to work as an assistant to George H. Hitchings at the Burroughs-Wellcome pharmaceutical company in Tuckahoe, New York (now GlaxoSmithKline). Hitchings was using a new way of developing drugs, by imitating natural compounds instead of through trial and error. He believed that if he could trick cancer cells into accepting artificial compounds for growth, they could be destroyed without also destroying normal cells. She began to work with purines, and in 1950, she developed the anti-cancer drugs tioguanine and 6-MP. Though Elion never obtained a doctorate degree, she was later awarded an honorary Ph.D. from the Polytechnic University of New York and an honorary Doctor of Science degree from Harvard University. Ekion began to go to night school at New York University Tandon School of Engineering (then Brooklyn Polytechnic Institute), but after several years of long-range commuting, she was informed that she would no longer be able to continue her doctorate on a part-time basis, but would need to give up her job and go to school full-time. Elion made what was then a critical decision in her life, to stay with her job and give up the pursuit of a doctorate. Soon after graduating from Hunter College, Elion met Leonard Canter, an outstanding statistics student at City College of New York (CCNY). They planned to marry, but Leonard became ill. On June 25, 1941, he died from bacterial endocarditis, an infection of his heart valves. Gertrude Belle Elion never married nor had children. She remained close to her brother and his family tills the very end. Despite her hectic career, she still found time for hobbies like photography and traveling. She also enjoyed opera, ballet, and theater. The start of World War II created more opportunities for women in the industry. Elion was able to obtain a few quality-control jobs in food and consumer-product companies before being hired at Burroughs-Wellcome (now GlaxoSmithKline) in 1944, where she began a 40-year partnership with Dr. George H. Hitchings. Her thirst for knowledge impressed Dr. Hitchings, and he permitted her to take on more responsibility. There she was first the assistant and then the colleague of Hitchings, with whom she worked for the next four decades. Elion and Hitchings developed an array of new drugs that were effective against leukemia, autoimmune disorders, urinary tract infections, gout, malaria, and viral herpes. Their success was due primarily to their innovative research methods, which marked a radical departure from the trial-and-error approach taken by previous pharmacologists. Elion and Hitchings pointedly examined the difference between the biochemistry of normal human cells and those of cancer cells, bacteria, viruses, and other pathogens (disease-causing agents). They then used this information to formulate drugs that could kill or inhibit the reproduction of a particular pathogen, leaving the human host’s normal cells undamaged. The two researchers’ new emphasis on understanding basic biochemical and physiological processes enabled them to eliminate much guesswork and wasted effort typical previously in developing new therapeutic drugs. Her professional career proved to be a highly successful one. In collaboration with Hitchings, she developed various new drugs to treat diseases like leukemia, autoimmune disorders, urinary tract infections, gout, malaria, and viral herpes. The duo adopted innovative research methods and focused on examining the difference between the biochemistry of normal human cells and those of cancer cells, bacteria, viruses, and other pathogens. Then they used this information to formulate effective drugs to treat the diseases caused by such pathogens. Elion and Hitchings set out on an unorthodox course of creating medicines by studying the chemical composition of diseased cells. Rather than relying on trial-and-error methods, they used the differences in biochemistry between normal human cells and pathogens (disease-causing agents) to design drugs that would block viral infections. Elion and her team developed drugs to combat leukemia, herpes, and AIDS. They also discovered treatments to reduce the body’s rejection of foreign tissue in kidney transplants between unrelated donors. In all, Elion developed 45 patents in medicine and was awarded 23 honorary degrees. Elion had also worked for the National Cancer Institute, American Association for Cancer Research and the World Health Organization, among other organizations. From 1967 to 1983, she was the Head of the Department of Experimental Therapy for Burroughs Wellcome. She moved to the Research Triangle in 1970. She was affiliated with Duke University as Adjunct Professor of Pharmacology and of Experimental Medicine from 1971 to 1983 and Research Professor from 1983 to 1999. Throughout her career, Elion was associated with the National Cancer Institute in many capacities. She had also worked for the American Association for Cancer Research and the World Health Organization (WHO), among other organizations. 6-mercaptopurine (Purinethol), the first treatment for leukemia and used in organ transplantation. Azathioprine (Imuran), the first immuno-suppressive agent, used for organ transplants. Trimethoprim (Proloprim, Monoprim, others), for meningitis, septicemia, and bacterial infections of the urinary and respiratory tracts. Acyclovir (Zovirax), for viral herpes. 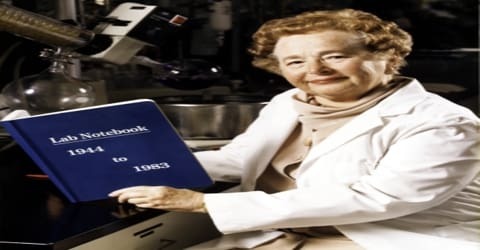 Gertrude Elion officially retired in 1983, but she remained active, holding the titles of scientist emeritus and consultant at her old company. Despite her retirement, Elion continued working almost full-time at the lab and oversaw the adaptation of azidothymidine (AZT), which became the first drug used for the treatment of AIDS. In 1988, Elion received the Nobel Prize in Medicine, together with George Hitchings and Sir James Black. Elion was elected a member of the National Academy of Sciences in 1990, a member of the Institute of Medicine in 1991 and a Fellow of the American Academy of Arts and Sciences also in 1991. In 1991, she was inducted into the National Inventors Hall of Fame, becoming the first woman to achieve this honor. Awards include the Garvan-Olin Medal (1968), and the National Medal of Science (1991). In 1992, she was elected to the Engineering and Science Hall of Fame. She was elected a Foreign Member of the Royal Society (ForMemRS) in 1995. In 1997, Elion was granted the Lemelson-MIT Lifetime Achievement Award. Gertrude B. Elion died in North Carolina in 1999, aged 81. 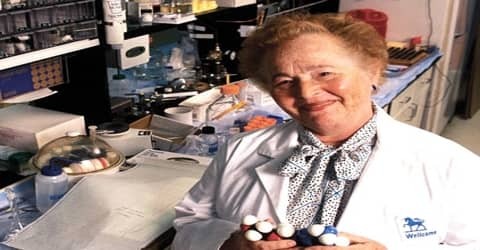 Elion developed a multitude of new drugs in her career which includes 6-mercaptopurine (Purinethol), the first treatment for leukemia and used in organ transplantation. Some of the other drugs she invented were Azathioprine (Imuran), the first immuno-suppressive agent, and Nelarabine, which is used for cancer treatment.